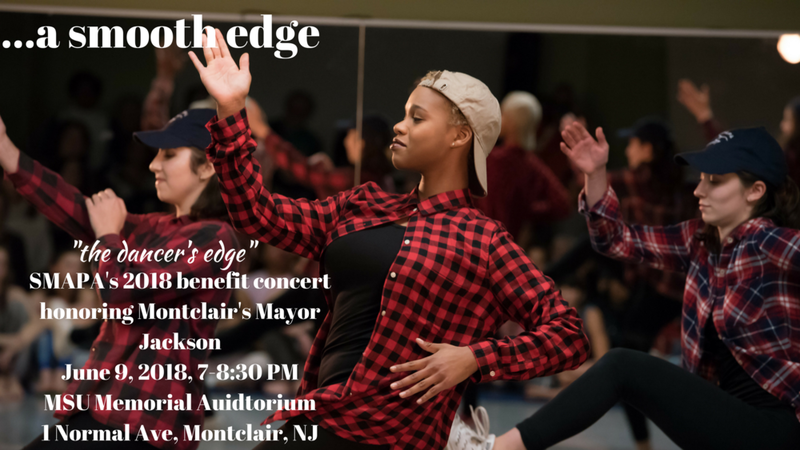 Don't miss this year's benefit concert "The Dancer's Edge," June 9, 7:00-8:30 pm, in honor of Montclair's Mayor Robert Jackson, and in support of SMAPA's scholarship funds. This annual spring showcase of SMAPA's premier Performance Workshop Ensemble (PWE) and Jr. Performance Workshop Ensemble (JPWE) will take place at Montclair State University's Memorial Auditorium, and feature new pieces like "Organized Chaos"